Are you facing challenges in determining "Who is Doing What" in the CDISC deliverable process? You are not the only company, Pharmas/CROs have global delivery team and it becomes challenging to manage the status of clinical programming, quality control and impact assessment activites. Replace your excel files with our solution Clinical TaskFlow - a fully automated web based workflow and task management solution specially designed for tracking clinical trial deliverable activities. 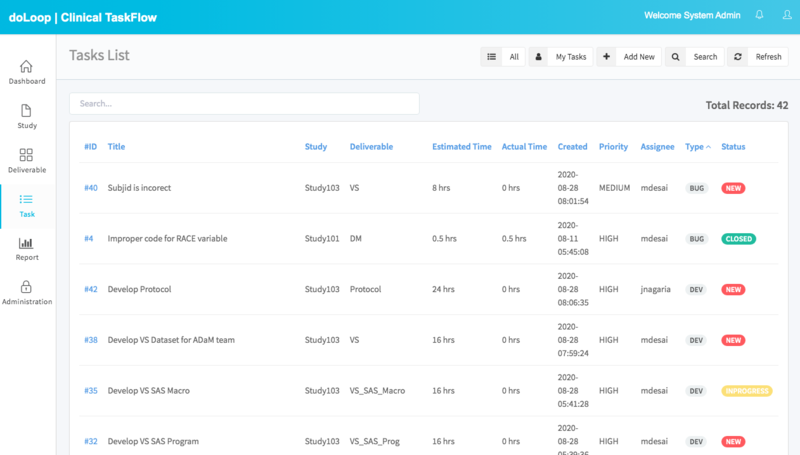 An interactive dashboard showing the summary statistics of all the clinical studies and clinical deliverables. Create/Import study definition. 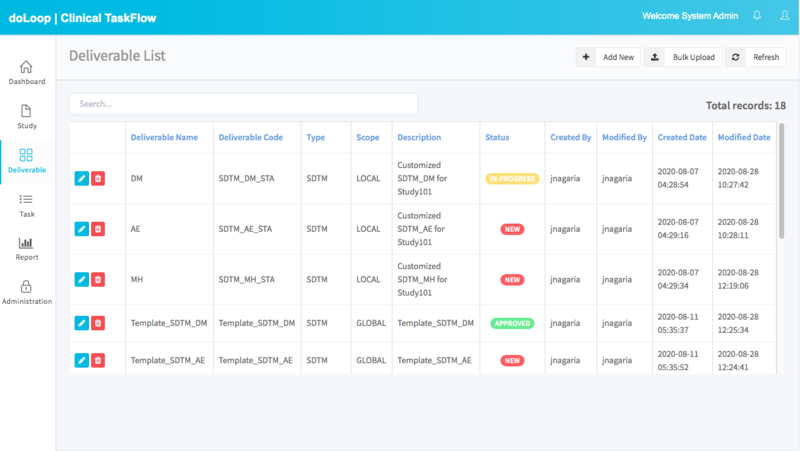 Assign users/groups to the study. Assign/Manage deliverables of the study. Create/Assign/Manage tasks for clinical bio-stat programing activities. Automatically create subtasks of appropriate type based on the parent task. 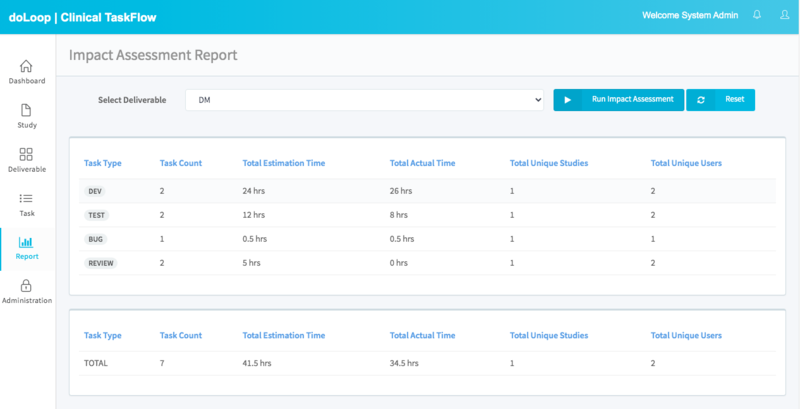 Get a complete study view report by deliverable/type/time. Give your bio-stats programming manager real-time status of programming activities of the study. Run an impact assessment before any change management to global deliverable metadata. Automatically identify the total estimate in hrs/users required for the change. 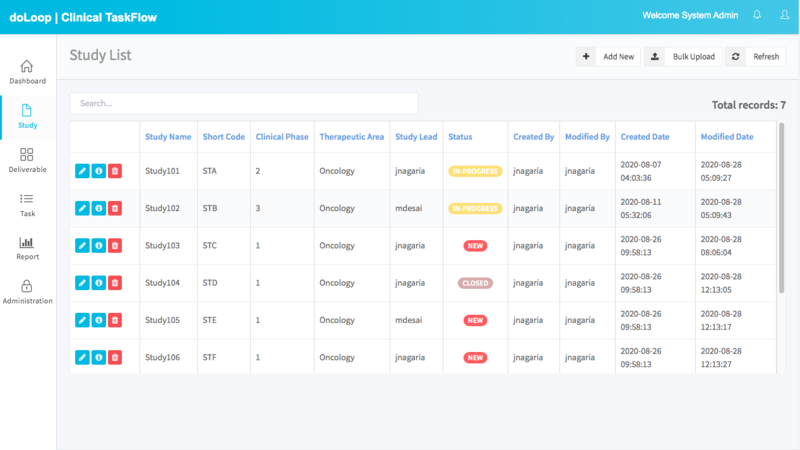 Multiple users can access the clinical information at the same time and update the status of deliverables. Better collaboration within the team and different stakeholders. 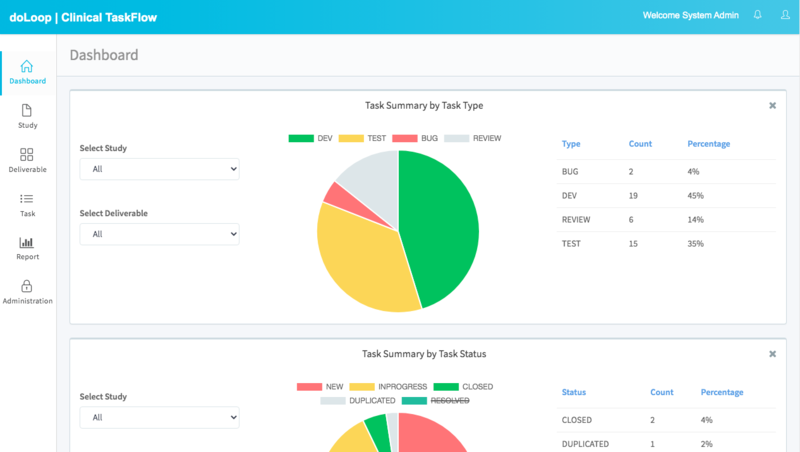 Complete workflow management system, create/update/assign tasks. 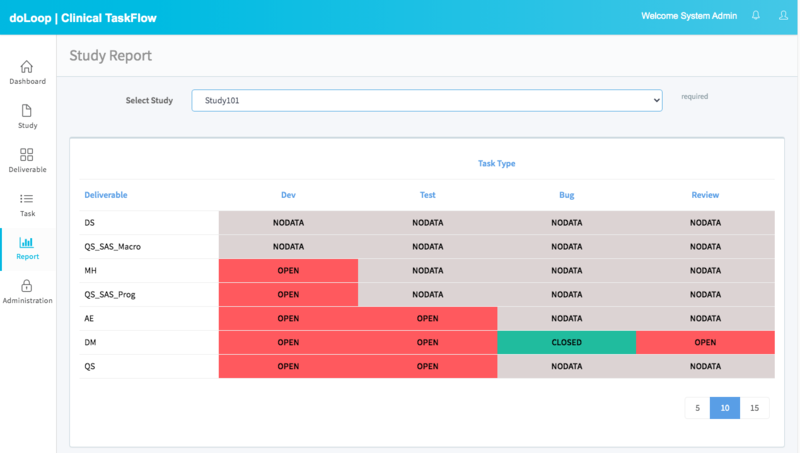 Automated dashboard, individual reports by Status/Issue/Users/Date/Deliverable etc. Audit Reports show “who”, “what”, “when” activities performed on the system. Store the standard deliverable information in the global library and propogate them to studies. Talk to us to know more about our Clinical TaskFlow solution.